The UK maritime industry is to use virtual and augmented reality in seafarer training as part of Government plans to innovate in the sector. Using the technology is part of the Department for Transport’s Maritime 2050 strategy, which will also see the creation of an “innovation hub” at a UK port by 2030 to look into ways of cleaning up emissions and improving training. The Government said new legislation will also be introduced to create the framework to allow for more testing of autonomous vehicles in UK waters. The hope is to establish the UK as the best place to trial such technology and attract investment to boost the economy, the department said. The use of virtual and augmented reality will form part of plans to create a Maritime Skills Commission, bringing together experts to discuss the future needs of the industry and use that to steer the tuition of seafarers. Transport Secretary Chris Grayling said: “Maritime is a vital UK industry, bringing in £14 billion to our economy as well as providing thousands of new and exciting careers for people across the country. “This strategy is a clear message to the world – we will continue to be a leading maritime nation for the next 30 years and beyond. The Government’s previously announced Clean Maritime Plan – which will set out ways in which the UK can reach zero emission shipping as quickly as possible – is also part of the strategy. Harry Theochari, chairman of Maritime UK, said: “For the first time the maritime sector has a real long-term strategy – setting out what Government and industry will do to position the UK as the world’s leading maritime nation over the coming decades in an increasingly competitive global context. “There are monumental opportunities for our sector – whether on technology, coastal economic development, attracting more maritime business to our shores or for the people that underpin our success. “The global ocean economy will double in value to three trillion dollars by 2030. Competitor maritime nations are hungry for the prize, and Maritime 2050 will ensure that the UK is best-placed to capitalise. Remote pilotage subject to authorisation will be allowed in those public channels in Finnish waters and in the Saimaa Canal lease area that have been marked as routes requiring pilotage. The Pilotage Act will be amended to allow the pilot to perform his or her duties somewhere else than onboard the vessel. The Government proposed on 17 January 2019 that the Pilotage Act be adopted. A pilotage company has to apply for an authorisation from the Transport and Communications Agency. A requirement for granting an authorisation is that remote pilotage will not as such or in combination with other functions cause any danger to vessel traffic safety or any harm to other vessel traffic or the environment. The remote pilotage authorisation defines the routes and parts of routes where remote pilotage is allowed. It also determines the vessels involved and the origin and destination of the remote pilotage. The authorisation will be granted for a maximum of five years and can be renewed if necessary. A provision will be added to the Act stating that the Defence Forces will be able to exempt foreign state vessels from the obligation to use a pilot. The Defence Forces may exempt vessels that take part in a training or exercise organised by them, participate in another form of defence cooperation or are hosted by the Defence Forces. The President of the Republic is expected to approve the bill on 18 January 2019. The Act is expected to enter into force on 1 February 2019. On 15 January the International Transport Workers’ Federation (ITF) and the World Maritime University (WMU) launched a flagship report entitled: “Transport 2040: Automation Technology Employment – the Future of Work”. The forward-looking assessment, produced by WMU, investigates how the global transport industry will change as a result of automation and advanced technologies, forecasting and analyzing trends and developments in the major transport sectors – seaborne, road, rail and aviation – to 2040 with an emphasis on the implications for jobs and employment for transport workers. Key findings indicate that technological advances are inevitable, but will be gradual and vary by region. Workers will be affected in different ways based on their skill levels and the varying degrees of preparedness of different countries. Case studies, as well as comparisons of autonomy scales and automation potential for job profiles in transport provide insight to the future of work. Regarding maritime transport, the report looks at 17 countries more specifically to assess how prepared they are for technical innovation. The report notes that new technologies and automation are impacting transport sector workers through both the displacement and creation of jobs, and may result in difficult transitions for many employed in the transportation sector. The future of work needs to ensure that workers are suitably qualified and re-trained to effectively master new technologies and higher levels of automation. IMO Secretary-General, Mr. Kitack Lim, opened the launch event noting that integrating new and advancing technologies in the regulatory framework for the shipping industry is a key strategic direction for IMO. “Member States and the industry need to anticipate the impact these changes may have and how they will be addressed,” he stated. To access the full “Transport 2040: Automation Technology Employment – the Future of Work” Report, click here. For photos from the launch of the report, click here. Although the two offshore vessels were hundreds of miles apart on Dec. 3, 2018 — one off the coast of Aberdeen, Scotland, the other on a voyage between Parainen and Nauvo in Finland — they were bound by technological innovation: Both set sail without a crew and were operated remotely. In fact, the offshore vessel in Aberdeen was controlled from 5,000 miles away, in San Diego. The two ships were showcasing what country after maritime country is increasingly turning to as the future of commercial shipping: autonomous and remote-controlled ships. In September 2017, two Norwegian firms, Yara and Kongsberg, announced plans to build the world’s first fully electric and autonomous container ship, the Yara Birkeland, by 2020. In 2018, Kongsberg teamed with another Norwegian firm, Wilhelmsen, to form the world’s first shipping company dedicated to autonomous vessels. In November, the ferry Folgefonn, also from Norway, underwent successful auto-docking, undocking and dock-to-dock tests, all controlled remotely, demonstrating how autonomously ships of the future might function, even when in port. The magnitude of cost-saving potential is huge. 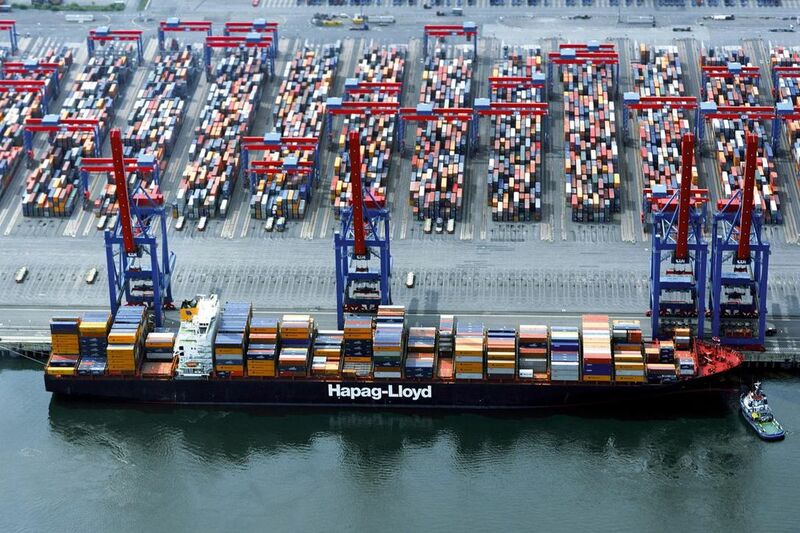 In the Netherlands, a consortium of 20 maritime businesses launched a project in December to study and demonstrate the potential of autonomous maritime transport. In Germany, the Fraunhofer Center for Maritime Logistics and Services is designing a remote-control tugboat that could help large, manned ships dock and undock. And the European Commission is co-sponsoring a collaborative project called MUNIN (Maritime Unmanned Navigation through Intelligence in Networks) that’s developing technology for unmanned vessels. China’s Maritime Safety Administration and Wuhan University of Technology are developing uncrewed multifunctional maritime ships, the country’s latest step in developing advanced transport solutions. And British automobile giant Rolls-Royce plans to build a remotely operated local vessel by 2020. By 2035, the company aims to launch autonomous, unmanned oceangoing ships. These plans are altering the face of shipping, shaped for centuries by sailors and explorers whose actions formed the bedrock of trade and transport. But increasingly, say observers and industry insiders, autonomous, unmanned commercial ships represent an unavoidable future — one where human errors can be avoided, financial margins improved because of fewer wages and lower fuel costs for lighter vessels, and the impact on the environment reduced. “The magnitude of cost-saving potential [when it comes to autonomous and unmanned vessels] is huge,” says Oskar Levander, senior vice president of concepts and innovation at Rolls-Royce Marine. Lives can also be saved with unmanned ships. According to insurance company Allianz, 2,712 people died because of maritime accidents in 2017. In all, 94 ships were lost that year to accidents; 1,129 have been lost over the past decade. “One of the main advantages of unmanned vehicles is that it allows for operations that do not put human lives at risk,” says Richard V. Lawson, CEO of the Washington-based International Ocean Science and Technology Industry Association. Most maritime accidents are caused at least partly by human error or fatigue, studies have shown, making autonomous ships a smart way to “reduce the risk of human tragedy,” says Pol Deketelaere, a lawyer in Bruges, Belgium, who has researched the legal implications of unmanned shipping. While the shipping industry will likely still need humans to work on docks — though China is developing ports that rely almost entirely on automated machines — autonomous, unmanned ships would dramatically cut the wage bill for companies. Because unmanned ships will be lighter, they’ll require less fuel and will leave a smaller carbon footprint, Rolls-Royce’s Levander says. As in so many other industries, concerns about automation eating up jobs also exist in shipping. The industry employs an estimated 1.2 million people on ships and on land. And the impact on employment is far from the only concern shadowing the industry’s shift. First, there are unanswered legal questions — companies don’t yet know how international laws will apply to vessels that have no humans on them. Who is liable if an accident takes place? These questions are also worrying the International Transport Workers’ Federation (ITF) Seafarers, the maritime wing of the organization. “The lack of physical presence onboard may leave the authorities with nothing other than a brass-plate company somewhere not legally reachable, and an accident that may cause millions of dollars in damages to the local community, ports’ infrastructure and the environment,” says Fabrizio Barcellona of ITF Seafarers, Fisheries and Inland Navigation. There’s also no guarantee that the controlling systems of these vessels are hack-proof, say experts. And what if a ship needs to suddenly change its route or respond to an unforeseen event, whether natural or man-made? Imagine a fleet of autonomous ships traveling without control in the event of something going wrong. Many in the industry, though, point out that most of these concerns are being addressed. On the regulatory side, the International Maritime Organization (IMO) — the United Nations body that regulates international shipping — is conducting a scoping exercise on autonomous surface ships. “As the regulatory body, IMO is concerned with ensuring that benefits offered by emerging technologies can be fully realized but without compromising safety, security or environmental protection,” says Natasha Brown, IMO’s media and communications officer. The regulatory review will be completed by 2020, and tweaks will be made to laws and norms to cater to the emerging wave of autonomous vessels. Rolls-Royce is designing ships that have situational awareness, using high-resolution visible light and infrared imagery, lidar and radar technologies to map the area around the vessel so that it can avoid collisions, make sharp maneuvers and respond to crises. Satellite connections can be used to message SOS signals to other nearby manned or unmanned ships. And control systems can be designed to automatically shut down if pirates come onboard. Strong features allowing humans to override the automatic systems will be important for scenarios where things go wrong, says Deketelaere. Still, he’s convinced that autonomous ships are the future. The IMO, which at a recent special session unanimously declared such unmanned, remote-controlled vessels as part of the industry “evolution,” expects such ships to first embark on shorter voyages. That will also keep most jobs in the industry intact in the immediate future. IMO secretary general, Kitack Lim has highlighted the need to consider seafarer training and standards, as shipping evolves with increasing levels of technology and automation. An important strategic direction for IMO is the integration of new and advancing technologies into the regulatory framework – balancing the benefits derived from new and advancing technologies against safety and security concerns, the impact on the environment and on international trade facilitation, the potential costs to the industry and their impact on personnel, both on board and ashore. “Member states and the industry need to anticipate the impact these changes may have and how they will be addressed,” Lim said. The International Transport Workers’ Federation (ITF) and the World Maritime University (WMU) Transport 2040 report is the first, independent and comprehensive assessment of how automation will affect the future of work in the transport industry, focusing on technological changes and automation in road, air, rail and maritime transport. Technological advances are inevitable, but will be gradual and vary by region. Workers will be affected in different ways based on their skill levels and the varying degrees of preparedness of different countries. Lim welcomed the report, noting that it would contribute to the efforts of the global shipping community to help implement of the UN Sustainable Development Goals, including the goals on quality education; gender equality; decent work and economic growth; and industry, innovation and infrastructure, he said. Both police and rescue services in Northern Norway are deeply worried as GPS signals are interrupted. Public safety and life could in worst case be in danger, warns the police. On Thursday, a strong wind with snow moves in over the Barents Sea causing troubles from Svalbard in the north to Troms and Finnmark on the mainland. The storm hits the northernmost part of Norway simultaneously as yet another jamming of GSP signals has been discovered in the border areas to Russia’s Kola Peninsula. Ellen Katrine Hætta, Chief of Police in Finnmark, says her emergency response units often depends on GPS signals when responding to an alarm. «Police cars and other units use GPS navigation. Last winter, we managed to save the life of a missing person in snow storm because he triggered his GPS-emergency transmitter. Without the GPS, we would not be able to find him in the heavy snow-drift,» Hætta tells. The police was notified by the aviation authorities around noon on Wednesday and sent units out to check the situation for its own systems. «We have so far not registered any lack of GPS signals on ground, but this is a real challenge for the emergency preparedness. We don’t know when signals are in place or are gone,» the Chief of Police explains. «Some people carry portable security alarms for personal safety reasons. Also those alarms tell the exact location of the person, important for quick reaction for the police,» Ellen Katrine Hætta says. She explains the importance of GPS in all search and rescue mission. Hætta says jamming of GPS signals is not only a matter for the military, but even more so for the civilian part of the society. Last November, Norway’s Defense Ministry confirmed to the Barents Observer that the GPS jamming came from the Kola Peninsula. Russia, however, denied all accusations. Foreign Ministry spokeswoman, Maria Zakharova, said Norway’s accusations came to «distract attention from the scandal with its newest frigate Helge Ingstad.» The warship sank after a collision with an oil tanker north of Bergen shortly after the large-scale NATO exercise Trident Juncture last November. Russia’s Oslo Embassy has not responded to questions from the Barents Observer about the origin of the current GPS jamming. Chief of Police Hætta says her departement has raised questions about the GPS jamming in meetings with Russia’s security police, the FSB. «I have addressed the problem and explained the consequences for search and rescue. FSB said they would look into the matter,» Hætta tells the Barents Observer. Additional to police cars, GPS navigation is used by other emergency response services like ambulances, fire trucks and civil defense units. 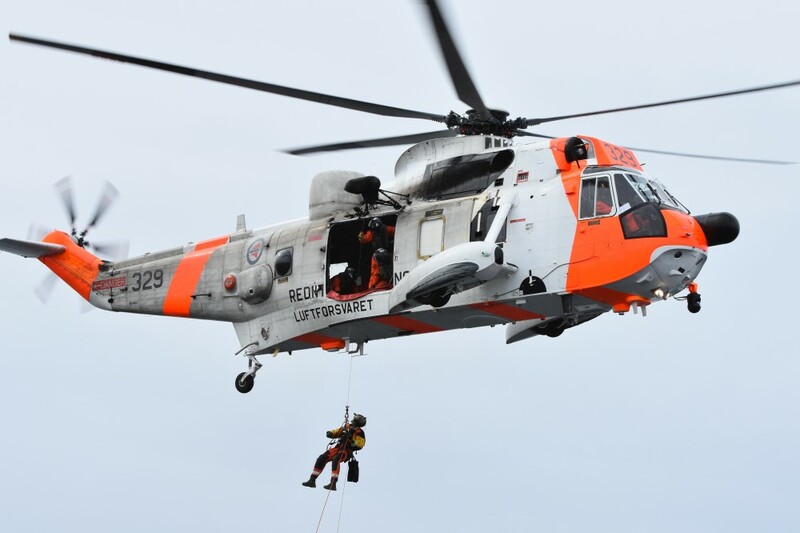 Bent-Ove Jamtli, Director of the Joint Rescue Coordination Centre of Northern Norway (JRCC) fears loss of GPS signals will lead to delayed rescue efforts. «In case of emergency on land, at sea or in the air, loss of GPS may lead to a higher risk of navigation error, causing much longer time to locate a person or a group of people in distress,» Jamtli says. He fears a higher risk for loss of life. Bent-Ove Jamtli says sudden lack of GPS signals would also pose a higher risk to search and rescue personnel due to misleading navigation. Jamtli says both maritime and aircraft navigation are partly dependent on GPS navigation. The JRCC coordinates all search and rescue operations at sea. Deputy Chief of Police in Finnmark, Trond Eirik Nilsen, says the frequent GPS jamming seen in Norway’s border areas to Russia over the last year infringes the police’s ability to act. «We have requested Norwegian Communication Authority to come north to measure the disturbances of satellite navigation signals,» Nilsen tells. 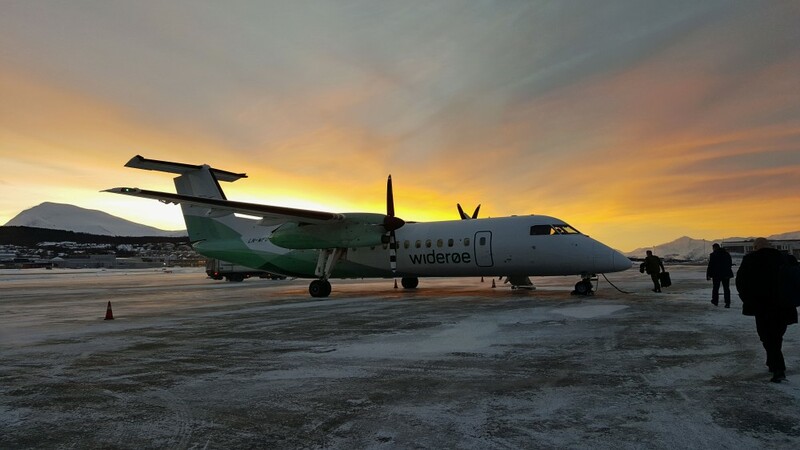 Technical Director of the Norwegian Communication Authority (Nkom), Per Eirik Heimdal, says his agency follows closely the situation since informed by the police in Finnmark on Wednesday. «Based on new information received today, we choose not to conduct measurements at this time,» Heimdal says. He would not elaborate. The police in Kirkenes informs that previously the interference of GPS signals have been stronger the closer to the Russian border measurements have been made. 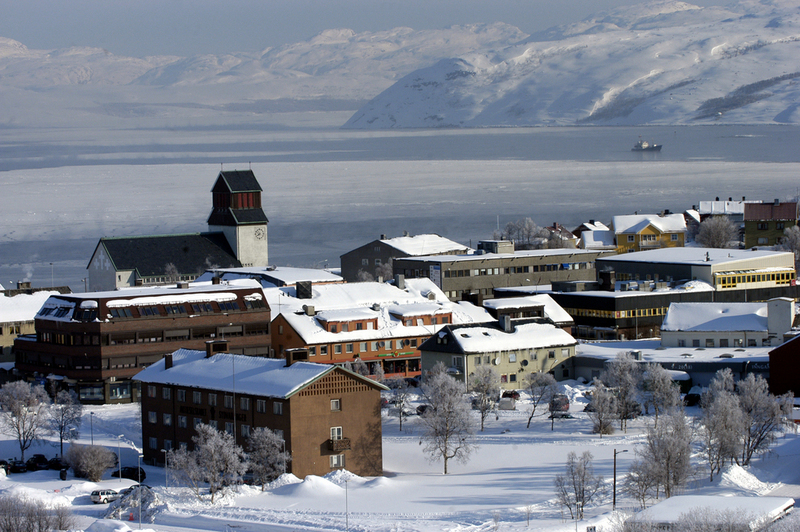 Kirkenes town centre is only eight kilometers from the border to Russia. The US may slap penalties on two European contractors laying the pipeline for the Russian-led Nord Stream 2. The political pressure is still extremely high over the project, which Moscow defines as purely economic. Swiss-based Allseas Group and Italian Saipem may face US sanctions over firms participating in the highly debated project on behalf of its operating company, Gazprom-owned Nord Stream 2 AG, sources in the German federal government told Handelsblatt. Allseas will reportedly lay over 90 percent of the controversial pipeline, while Saipem already completed its part of the work. Nord Stream 2 is being implemented by Russian energy giant Gazprom in close partnership with German oil and gas firms Wintershall and Uniper, French multinational Engie, British-Dutch energy corporation Royal Dutch Shell, and Austrian energy company OMV. Washington claims that the pipeline, which is set to run from Russia to Germany under the Baltic Sea and is projected to double the existing pipeline’s capacity of 55 billion cubic meters a year, undermines Europe’s energy security and stability. Nord Stream 2 will reportedly provide transit for 70 percent of Russian gas sales to the EU. Smaller members of the bloc have persistently opposed the project, which is crucially important for Germany and other EU nations. Poland, Latvia, Lithuania, Romania, and Hungary have severely criticized the project. Ukraine, which used to benefit from the gas transit from Russia to Europe, is standing strong against Nord Stream 2, as successful implementation of the project will deprive its budget of transit fees. According to Handelsblatt, Berlin is deeply concerned over the fact that the White House is threatening to set up serious obstacles to the vital energy project. The German authorities are reportedly trying to exert their influence on Washington to stop its interference in European energy policies. Construction of the Nord Stream 2 pipeline project has been approved by Germany, Finland, and Sweden, with the works scheduled for completion in late 2019. Denmark is the only country that hasn’t authorized the project so far. Last year, Nord Stream 2 AG said the consortium could avoid the Nordic state’s territorial waters if it didn’t get permission. Of the 118 accidents, five were ‘serious accidents’. That is the same as in 2012, 2013, 2014 and 2015, but four more than in 2016 and 2017. In addition to the Bow Jubail oil spill, a water taxi collided with a sloop, a pleasure craft sank, a patrol boat ran aground during a trial run and a flat-bottomed vessel almost got stuck between the shore and a ship. The harbour master has drawn conclusions from a new risk assessment with stakeholders. The regulations for speed limits along the bank and when entering and leaving ports must be better understood by waterway users, and the Port Authority must monitor sailing behaviour more intensively. These are basic rules such as paying attention to each other, taking each other into account, sailing properly, crossing straight, being clear and, of course, complying with the traffic rules. HALIFAX—Two big tugs are making progress fighting a stubborn fire aboard a container ship that has been burning off Canada’s east coast for five days, a spokesperson for the German shipping company Hapag-Lloyd said Tuesday. Tim Seifert said the tugs have been using high-powered fire monitors — a type of water cannon — to douse burning containers on the forward deck of the 320-metre Yantian Express. The 71-metre Belgian tug Smit Nicobar arrived to offer help on Friday, and the 95-metre Maersk Mobiliser, based in St. John’s, N.L., joined the firefighting on Monday. 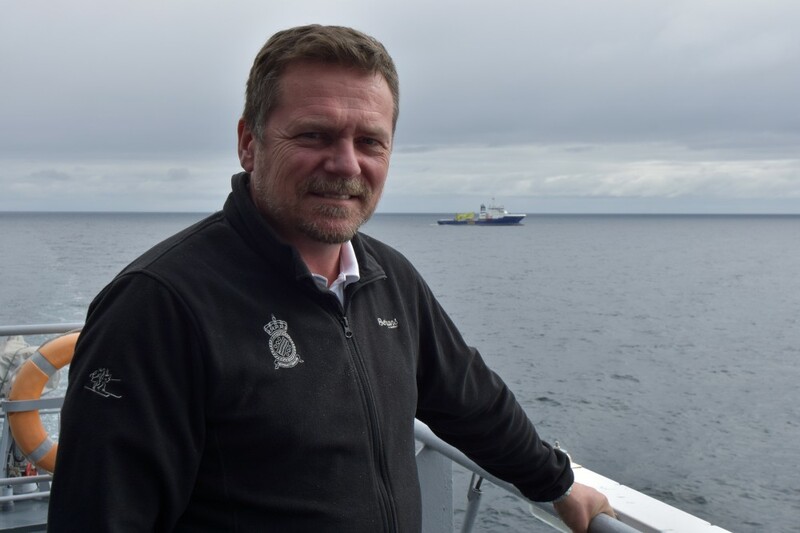 “The firefighting operations, under the direction of Smit (and) in co-operation with the local crew and the emergency response team in Hamburg, show continuous progress,” Seifert said in an email. A spokesperson for the U.S. Coast Guard in Portsmouth, Va., confirmed Tuesday that smoke was still pouring from the ship. The stricken, German-flagged container ship was about 1,300 kilometres from Halifax, its intended destination. Its entire crew was picked up by the Smit Nicobar on the weekend. None of them was injured after a fire started inside a container on Thursday, then spread to several other containers. The ship was travelling to Halifax from Colombo, Sri Lanka, via the Suez Canal. When the wind picked up on Friday, the crew stopped fighting the fire and retreated to safety inside the ship. Seifert did not provide details about the extent of damage, the cause of the fire or what the ship is carrying. The company, based in Hamburg, had previously said there were 23 crew members aboard the ship, including eight officers and 15 seafarers. On Tuesday, Seifert said there were 14 seafarers among a total of 22 crew members, including two from Germany, three from Poland and 17 from the Philippines. The U.S. Coast Guard spokesperson said the plan is to have the Maersk Mobiliser tow the container ship to Halifax. Last March, a fire aboard a Maersk Line container ship in the Arabian Sea claimed the lives of five crew members. The 353-metre Maersk Honam, an ultralarge container ship, caught fire on March 6 en route from Singapore to the Suez Canal. It had 27 crew members aboard.